Shout Out to Kent Bicknell and Recent Book "Stepping Stones"
If you are looking for a relaxing and thoughtful read to finish your summer, check out "Stepping Stones", available on Amazon here. Good friend and colleague Kent Bicknell has just released a book that outlines the history of Sant Bani School in. central New Hampshire. We got to know both Kent and the school very well several years ago as we completed a comprehensive strategic plan for Sant Bani School. Kent served as the founding head, long-time leader, and resident historian. 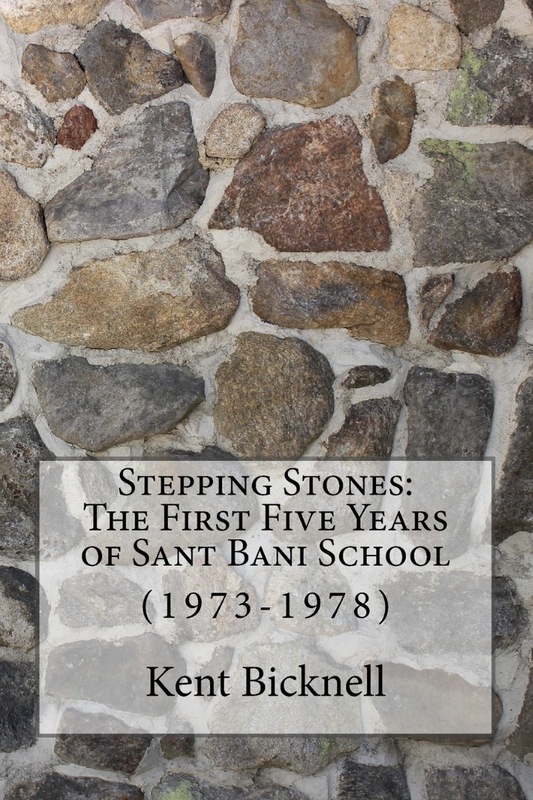 According to Amazon, "Stepping Stones narrates the fascinating history of Sant Bani School and its rapid growth into a dynamic educational day program in central New Hampshire. With a focus on the early years (1973-1978) founding head Dr. Kent Bicknell offers an in-depth account of the spiritual and educational roots of the school as it developed a curriculum based on the understanding that all life is connected. Along with a description of the relation of the school to two spiritual teachers from India, Dr. Bicknell provides a link to the educational theories of the 19th century Transcendentalists, Henry Thoreau, Ralph Waldo Emerson and the Alcotts. Contemporary newspaper articles and photographs from the initial years help bring the story to life. Be prepared to wonder, to laugh, to learn – and to be drawn to visit the school's vibrant campus today (www.santbani.org)." If you are a school historian and enjoy the challenges, chronicles, and journey of founding a new school and building an educational philosophy, check out "Stepping Stones". It is thoughtful and in-depth account of a vital school in the central New Hampshire region. St. Mary's Academy in Portland, Oregon has selected Ian Symmonds & Associates for research and consulting services. Our work will commence in August and continue throughout the fall. We are excited to welcome St. Mary's Academy into our client community and family. St. Mary’s Academy is Oregon's oldest continuously-operating secondary school. A nationally recognized school of excellence, St. Mary's is an established Catholic all-girls college-preparatory high school that readies students for the future. With a more than 150-year tradition of educating young women, St. Mary's continues to serve a diverse school community and offer a challenging academic program that fosters the development of the whole person. St. Mary's is large enough to provide a wide variety of experiences, yet small enough to focus on the individual needs of each and every student, as we have done for 10,000 young women since 1859. St. Mary's urban setting in downtown Portland enhances the school's curriculum with unique access to enriching educational and cultural opportunities that complement the classroom experience. The school enjoys many partnerships with companies, educational and artistic institutions, nonprofit agencies, and local and global leaders expand the experiences and impact of our students every day. Teton Science Schools in Jackson, Wyoming have selected Ian Symmonds & Associates for research and consulting services. Our work will commence in the fall and continue throughout the year with this innovation ecosystem of learning institutions. We are delighted to welcome Teton Science Schools to our client community and family. Teton Science Schools inspires curiosity, engagement and leadership through transformative place-based education. TSS is an organization in northwest Wyoming and Idaho comprised of seven program areas sharing a common vision of education. TSS has been teaching about the natural world and the Greater Yellowstone Ecosystem since 1967. TSS is deeply rooted in the outdoors as place anchors and enriches our understanding of the world. The organization has educated, trained and inspired thousands of children, youth and adults, bringing them together through the study of nature and place-based education. TSS serves students from across Wyoming, the Intermountain West, the nation and around the world. The Mississippi Children’s Museum (MCM) was born in 1994 from the urgent need to improve the health, literacy and well-being of Mississippi’s children. Recognizing a vital need for innovative, creative and engaging educational resources for Mississippi children and their families, and inspired by the success of children’s museums across the country, a visionary group of community volunteers began the extensive process that led to MCM. Six years ago, ISA completed the first ever strategic plan for the Mississippi Children's Museum in Jackson, Mississippi. This initiative was an early effort of our #JustCause campaign. We are excited to announce that we will be building upon the heritage and success of the museum by joining with them to build a new strategic plan for the future. We invest financially in organizations that empower promising young people toward higher education attainment. We are truly excited to be headed back to Jackson this year to partner with this extraordinary organization. We will be working alongside their board and administrative leaders to build a plan that will empower the next generation of children in the state. The Haverford School in Haverford, Pennsylvania has selected Ian Symmonds & Associates for strategic planning. Our work will commence in the fall and continue throughout the year. We are excited to welcome this exceptional school to our client family and community. The Haverford School is a vibrant, private day school for remarkable boys, pre-kindergarten to 12th grade. Their campus is located in the heart of Philadelphia's main line. The Haverford School is a leader in educating boys, and our boys are at the heart of all they do. They are talented scholars, artists, and athletes – and so much more. Their extraordinary educators and best-for-boys teaching methods challenge and inspire every student, while their intentional Character and Citizenship program builds men of strong empathy, integrity, and courage. What if We Created Plans and Didn't Share Them? Education is a pretty predictable industry. It tends to follow similar calendars, cycles, processes, and systems. Sometimes that is a very reassuring attribute. And, sometimes it can lead us away from thinking differently about our circumstances. Most schools and colleges spend an average of 9 months to create a strategic plan. They gather lots of data and input, engage their stakeholders, and then create a set of priorities that were formed from the feedback. At the end of the process, they build a communication program and launch the new strategic plan to great fanfare. Hopefully, they follow the plan and implement as intended, communicating with their people all the way. Five years later, they will probably do it again. Pretty predictable cycle, right? What if we created strategic plans and then didn't share them? No kidding. Not with anyone. Instead, we just decided to DO them. Like major companies do. Think about Google for a moment. They don't need a keynote presentation to share their new software. They quietly engage us for our advice and then, one day, a new product designed just for us emerges. Some of the new products delight us and others dismay us and they fail. But, regardless, they are dedicated to the act of DOING, not SAYING, what they are going to do. Actually, I am not advocating that we stop communicating about our strategic plans. Good communication plays an important role in closing the feedback loop with our tribe of support, creates a foundation for a campaign, and builds trust in the community. But, I have noticed that schools and colleges love to tell the world where they are going yet tend to be very slow and inflexible in living out their plans. Wouldn't it be an interesting exercise to finish a strategic plan and not communicate it with anyone? And, then, after a couple of years of implementation, go back and ask stakeholders what they think the school or college priorities are at the moment. That would give us a good sense of whether our actions were speaking for us. Let's focus more on DOING than SAYING. We all know that action speak louder than words. Excellent communication is an important goal in itself. But, let's not confuse activity with meaning. People care about what we do, not what we say. We hear a lot of folks talking about educational innovation today as if it were an educational philosophy or platform unto itself, like Montessori education, Jesuit learning, or single gender teaching. It is not. Innovation is not an educational platform, it is a mindset, and it has been around in every industry from the beginning of time. This is not a new idea. "Innovation is the application of better solutions that meet new requirements, inarticulate needs, or existing market needs. This is accomplished through more effective products, processes, services, technologies, or ideas that are readily available to markets, governments, and society. " So, to learn what innovation means to the future of education, let's review what innovation has meant to other industries. Innovation breeds choice. Most good innovations provide customers with more choice and an increasing stratification of offerings. Innovation decreases price. Most good innovations find a way to live out Blue Ocean Strategy, giving consumers more choice with less cost. Innovation enhances the experience. Most great innovations make the product experience better for the end user, the customer. Innovation produces integration. At the end of the day, most great innovations end up living within an ecosystem of products, with mixed price choices and mixed delivery options. 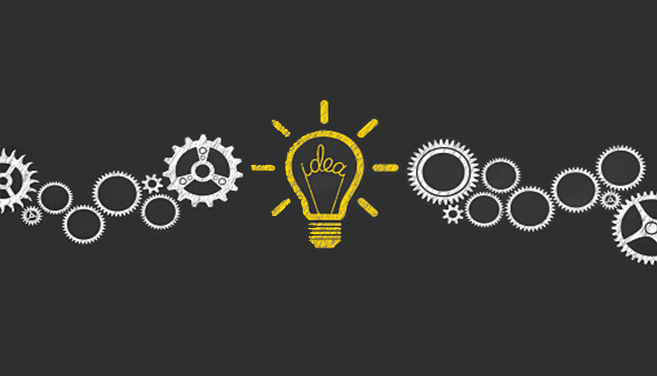 Innovation rarely remains a stand alone product category. The future of education is not about innovation that eliminates everything we know to be true about our industry: the four year college degree, clear educational outcomes, real world and work training, or global preparation for the future. I think we need to start looking at innovation at the way it will play into our ecosystem by driving more customer choice, better price, and stronger integration into our product lines. Unless we want to argue with history, I think we are safe to say that placing innovation in context might be useful to our campus conversations. The Robert Louis Stevenson School in New York City has selected Ian Symmonds & Associates for research services. Our work will commence in the summer and continue through the fall. We are excited to welcome the school to our client community. The Robert Louis Stevenson School was founded in 1908. The school is located in an historic brownstone on West 74th Street off Central Park West – a short walk to the Park, Lincoln Center, The American Museum of Natural History, and the vibrant life of the Upper West Side. 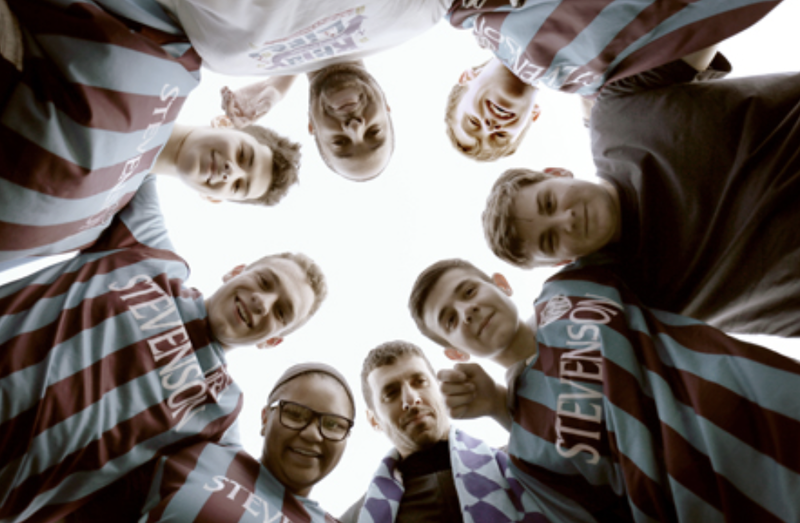 Stevenson serves students in grades eight through twelve. Seventh grade applicants who are ready for college preparatory coursework may also be considered. The student-to-staff ratio is 4:1. Much of our research with private schools and colleges is littered with references of parents who are controlling, anxious, and overly involved in their children's lives. They often have very high expectations for service and also expect to be involved in detailed school or college decisions and the communication about them. Their behavior almost seems bizarre to experienced school or college administrators and beyond the norm of traditional parenting. But, if you examine their behavior from an historical context, in light of generational trends, it makes complete sense. I call this current and upcoming chapter of consumers "The Generation of Broken Promises". This is a generation that has witnessed first-hand the downfall of major American institutions. Think about it for a minute. From an education perspective, they were told to go to a great school and college and your life would be set with plenty of good jobs and income. Then came the global economic crisis and all of those bets were off. The overall role and value of education is currently under review in popular culture. From a financial perspective, they were told to invest wisely in traditional retirement programs and trust banks and employers, Then came the financial crisis and with it the loss of great wealth and a long-term change in the average age of retirement. From a housing perspective, they were told to buy a big house as it was always a great investment. Then came the housing and lending debacle and the fall of big banking. From a safety perspective, they were told we would never have a terrorist attack on American soil and that we were always safe in our country. Then came the 911 attacks and mass shootings in their schools and movie theaters. From a religious perspective, many were raised in a faith tradition and expected to do the same with their own children. Then came the downfall of many churches, with mainline denominations struggling to stay above water, and crisis in the Catholic Church. The list of broken promises could go on and on, but the reality is that this generation of young parents and young adults have been conditioned to not trust bureaucratic organizations and the grown ups in charge them. At nearly every turn, their life has been disrupted by harsh realities that have never been experienced by previous generations, and the adults in charge were always one step behind. Is it any wonder why they respond with greater anxiety, control, and need for information and input on decision-making? At their very core, they have trust issues. They are still working on trusting that this investment will pay off. And, they are seeking investments that will endure in this new normal. In a world where so much has failed, they look to private education as a potential safe bet, but they still have their reservations. So, while it is easy to get impatient or frustrated with their behavior, try to place it into a little bit of historical context. And, learn to work with them, providing new avenues for input, discussion, dialogue, and result with sharpened communications. I don't know if this is the new normal in private education, but I think it is the norm for awhile. As an industry, we might be wise to use this opportunity to become more client-focused, sensitive, and better at communicating, which happen to be some of our own weak spots. Perhaps one of the most exciting aspects of our work is to see formulated strategy come to life. It is especially exciting when the strategy is designed to advance education to overcome poverty and increase access to learning, sharing our vision for our #JustCause program. Roughly five years ago ISA completed a strategic plan for Mississippi Children's Museum as part of our #JustCause effort. Among their many ambitious strategies was to consider expanding their ecosystems of children's museums to underserved regions of Mississippi well outside of the Jackson area. Check out the video below and learn more about their progress on design for Meridian, Mississippi. In a world that values research, data, and metrics, we sometimes underestimate the amount of time and energy that further analysis might take before we make a valuable strategic decision. In the end, we assume, the time spent researching an issue will help us make a more informed and effective choice about the future. And, for many organizations, this process serves them well, as they create a culture of data-driven decision making and drive forward as a result. However, our experience with the education industry provides some insight into another danger of analysis. It turns out that we find many schools and colleges use analysis as an informal yet culturally acceptabale means to delaying an important decision. We find that some organizations would rather study something to death rather than commit to making a decision. That gives them the illusion that they are working on an answer and making progress toward a goal. But, we all know that failure to act is the larger issue. Since research rarely jumps off the page and tells you what to do or where to go, it is important to remember that it is the informed action that matters, not the analysis. 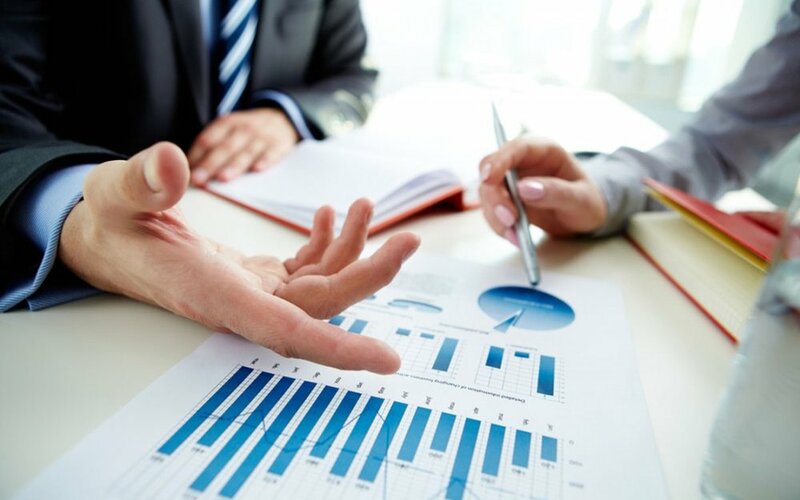 Research is intended to give an organization informed choices so that it can make more effective and efficient decisions about strategic direction, resource allocation, or identity choices. Remember not to give way to the idea that just because you are studying a problem you are making progress on it. I am deeply looking forward to joining my colleagues at the MISBO Fall Conference in October. I will be keynoting the conference which will focus on the theme of the conference is "Aspirations to Operations". I am dedicating a portion of my summer writing to some key questions in preparation for the conference. For the past several years independent schools have been asking some big questions. Are we still relevant in today’s world of ever-changing education? What will the students of tomorrow need, and how do we anticipate those needs? Do we have the right mix of programs, facilities, faculty, and technology to support those needs? What will be the role of education in the future? What should “high quality” educational models really cost? How should education be delivered to the consumer? I will delve into each of these questions throughout the summer as part of my writing journey up to the conference. I invite you to join us in the critical conversation by 1) following and contributing to this blog series and 2) registering for the conference. You can learn more about the conference and register online at https://www.misbo.com/events/fall18. Ian Symmonds & Associates is pleased to welcome our first-ever summer intern. Evan Harrison is joining the Ian Symmonds & Associates team for the summer beginning June 1st. He is currently heading into his senior year at Gonzaga University where he is studying marketing and public relations. He is looking to gain some real world marketing experience and is excited to contribute to the team in whatever ways he can. While Evan spends most of his time in Spokane at Gonzaga University, he enjoys returning to his hometown of Portland, Oregon for the summer. In his free time you can find him snowboarding, cheering on the Gonzaga basketball team, and exploring the great outdoors of the Pacific Northwest. Evan will be working on project management, conducting some research in the form of demographic and qualitative data gathering, and participating in the outset of some strategic sessions with our steering committees via video conference. Edison High Schhol in Portland, Oregon has completed a year long search for a new president. After completing the strategic plan for Edison, ISA is pleased to announce that our search led to the selection of Dr. Sean Preston as Edison High School's new President. Dr. Preston served as the founding head of school for the John Crosland School, a K-13 institution that serves students with learning disabilities and differences in Charlotte, NC. He has also served as head of school at Cypress Heights Academy, the accreditation team chair for the Southern Association of Independent Schools, and a faculty member at University of North Carolina. Dr. Preston is a true servant leader and a lifelong educator with a passionate zeal for working with students with learning differences. He brings an immediate sense of vision, collaboration, synergy, organization, and fundraising skills to Edison High School. Congratulations to both Edison and Dr. Preston on this new collaboration. Pacific Ridge School in Carlsbad, California has selected Ian Symmonds & Associates for research and strategic planning services. Our work will commence in the summer and continue throughout the upcoming school year. Pacific Ridge joins a small number of independent schools in the greater San Diego region that we have served over the course of our practice. We welcome Pacific Ridge to our client community. Pacific Ridge School inspires curious young minds to be thoughtful, collaborative, and globally-minded by integrating a multitude of intercurricular opportunities with a robust academic schedule. Through an inclusive and innovative approach to acquiring and applying knowledge, students gain confidence and self-awareness—developing into young adults with advanced communication skills who are prepared to drive and design their success in the 21st century. Pacific Ridge School was founded in 2007 and enrolls just under 600 students in grades 7 through 12. The teaching style is seminar-style learning, designed to feed an integrated academic program to allow students to address over-arching ethical questions, and to unite content across thematic touchpoints. Why is the education industry so immune to significant change? Our experience and research indicates that the private education industry, specifically, struggles to change in major ways in an effort to keep up with rapidly evolving markets, consumers, and tools. Why is that and how do we address it? Class size - Educators have historically believed that only small classes results in strong learning, driving costs up. Calendar - The industry followed an agricultural calendar giving summers off, limiting the seasons in which we can deliver education. Accreditation - The industry follows accreditation centric rules to good management, creating some unusual practices and policies. Tenure - Few industries award jobs for life but colleges still do. Business Model - In private education, we have adopted a low volume/high price/selective admission model yet wonder why we have enrollment and accessibility woes. Assessment - Arbitrary methods of assessing both student learning and teacher effectiveness still plague our industry. Goverance - Our schools and colleges are governed by a model of accountability and responsibility engineered for non-profits over a century ago and has not been revisited or recalibrated. So, why don’t we change very quickly? This is just a small list of the major structural barriers to innovation and change in private education. There are many others so numerous to list. Significant change will not occur in our industry until these barriers are broken down completely allowing new capacity to flow into our models. Most schools and colleges today create plans and manage change on the edges or incrementally. However, there are some innovators in the landscape that are committed to breaking down the barriers and impediments to growth, innovation, and change. 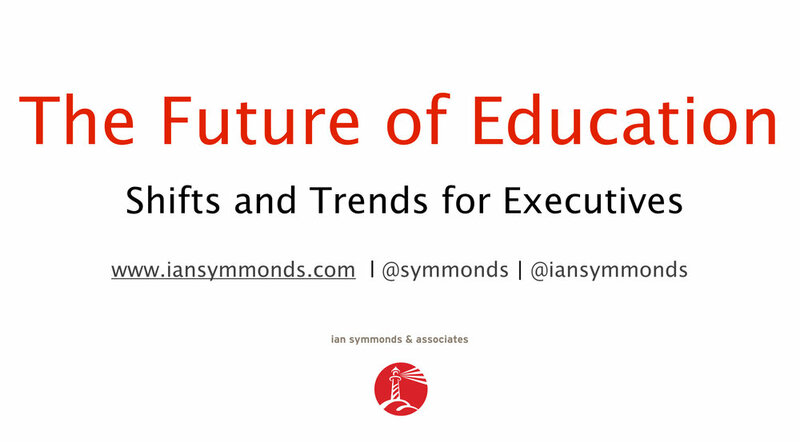 We recently released a short presentation and video titled “The Future of Education”. The document outlines the major shifts and trends that are likely to shape private education, following a similar trajectory to other major industries, such as retail, transportation, and hospitality. You may watch the video from the Sacred Heart Network conference in St. Louis below. We will also upload the white paper presentation to our site shortly. Ian will be delivering the opening keynote message at the Mid-South Independent School Business Officers (MISBO) annual conference in October. 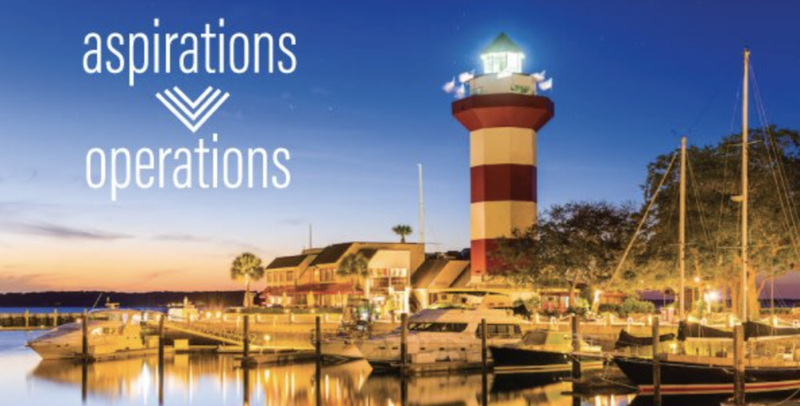 The conference will be held October 3 - 5 in Hilton Head, South Carolina and follow a theme of "aspirations to operations". Ian will specifically be speaking on the three existential questions that independent schools must address in the future. We are so excited to be joining the MISBO family for this event. Pilgrim School in Los Angeles has selected Ian Symmonds & Asssociates for research and strategy services. We are excited to welcome this innovative school in Southern California to our client community. Our work will commence in May and continue through the summer. Pilgrim School, founded in 1958, is an independent, co-educational, college preparatory day school for students in Preschool through Grade 12. The school is in a safe haven cradled in Wilshire Center, 10 minutes from downtown Los Angeles, and attracts a student body as varied as the city's population. Pilgrim is a city schoool, where individual talents, contributions and skills yield a richer and more dynamic community; where academic skills are applied to real-world challenges and opportunities. Los Angeles is their city. The California Science Center, Disney Music Hall, The Getty, LACMA, Chinatown, the Natural History Museum, the Fowler Museum at UCLA, MoCA, Venice Beach and art galleries, the Endeavour, the Museum of Tolerance, Skirball Center, the Los Angeles Zoo, the Grammy Museum — these are a few of their classrooms. Kent School in Chestertown, Maryland has selected Ian Symmonds & Associates for research and strategy services. Our work will commence in May and continue throughout the summer. Kent School's mission is to guide students in realizing their potential for academic, artistic, athletic, and moral excellence. The school’s family-oriented, supportive, student-centered environment fosters the growth of honorable, responsible citizens for our country and our diverse world. Kent School is a regional, independent day school serving students from Pre-Kindergarten through Eighth Grade. They accomplish their by setting high academic and personal standards; by having a devoted and highly skilled faculty; and by actively living their community values of integrity, respect, responsibility and friendship. We are excited to welcome this innovative school to our ISA client family. This project will also serve to reunite our firm with head of school Nancy Mugele, who served at Roland Park in Baltimore, also an ISA client family member.